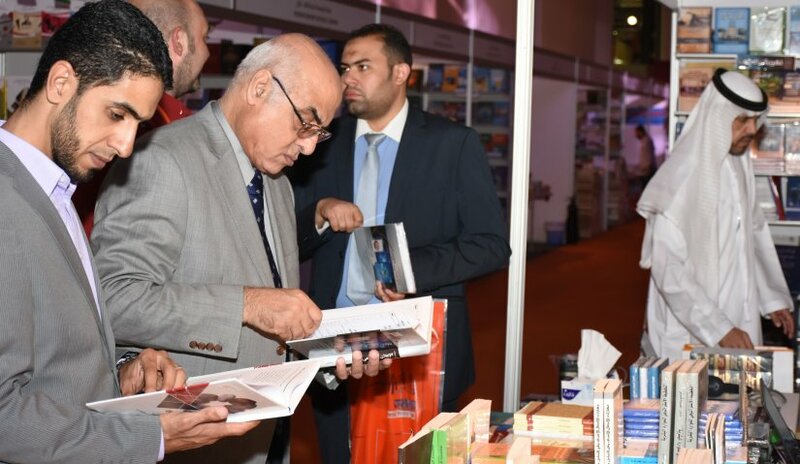 A delegation from Al Falah University visited the Sharjah International Book Fair in its 36th year. The fair is held annually since 1982 under the patronage of His Highness Sheikh Dr. Sultan bin Mohammed Al Qasimi, Member of the Supreme Council and Ruler of Sharjah. The delegation included Prof. Nasr Abbas, Dr. Islam Bourini from College of Business Administration, and Mr. Emad Hamdy, Head of Library. The visit aims to update AFU’s Library with the 2017 latest publications and books needed by students and faculty members. The delegation also toured the exhibition halls with the latest books and publications of local, Arab and international publishing houses. Towards the end of the tour, the delegation witnessed the signing ceremony of Ms. Sumaya Marzouki, student from the College of Mass Communication on her new book.